PANORAMED platform is an innovative project that joins 21 ministerial and regional authorities of the European States of the Mediterranean shores, from Portugal to Cyprus, including three IPA Programme States, namely Albania, Bosnia and Herzegovina, and Montenegro. The partnership is complemented by Associated partners represented by the major Mediterranean actors to concretely act complementarities and synergies in defining strategic projects and contributing to shared policies and frameworks of actions. Concretely this intergovernmental discussion forum will be fed with contents also coming from other programmes, initiatives and policies, striving towards a coherent and coordinated contribution to governance processes active in the Mediterranean Region, therefore supporting a more strategic vision of the whole area. Approved in June 2017, with a nine million euro total budget and running until spring 2022, the project ensures a medium/long time perspective and has the potential to give a positive contribution to new EU strategies in the Mediterranean beyond the time length of the INTERREG MED Programme. 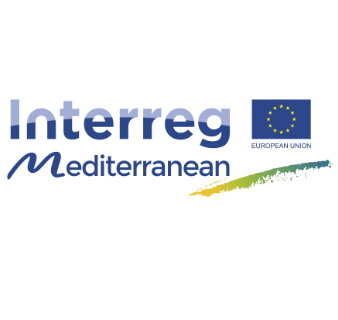 Complementary to INTERREG, the EU Neighbourhood Policy, through its specific ENI CBC MED Programme, plays a key role in the Mediterranean region in promoting cooperation between EU and neighbourhood countries in sectors that are similar or complementary to those tackled by INTERREG. Furthermore, indicatively the same management scheme as INTERREG of launching calls and financing projects is applied and, at least for EU countries, the ‘programme clients’ are of the same nature: local and regional authorities, universities, research centres, thematically specialised agencies, associations, networks, private companies. The United Nations Environment Programme/Mediterranean Action Plan (Barcelona convention) represents the unique legal framework binding the 21 States around the Mediterranean Sea and the European Union as contracting parties. One of its key strategies, the multiannual Mediterranean Strategy for Sustainable Development, provides a strategic policy framework, until 2025, for securing a sustainable future for the Mediterranean region consistent with Sustainable Development Goals, which are the blueprint to achieve a better and more sustainable future. They address the global challenges identified, including those related to poverty, inequality, climate, environmental degradation, prosperity, and peace and justice4. In this framework, for example, tourism can and must play a significant role in delivering sustainable solutions for people, the planet, prosperity and peace. - Specific challenge in cross border areas confronted to administrative, legal, linguistic obstacles and different practices. Enhanced multilevel maritime surveillance will help ensuring a more secure, safer, tailored and cleaner Mediterranean Sea. The commitment of relevant participating public authorities across different sectors is an essential requirement to ensure the later take up of the proposed solution at the basin scale. The strategic projects are “multilevel” projects implemented by partners able to influence or even better directly define policies. The actions foreseen must be inter-sectoral actions, strictly coherent and linked to each other and beyond this must converge towards a common objective of territorial development and justify a unitary implementation approach. The collective ownership of the strategic projects will enable them to translate into effective political leverage and showcase good examples of regional cooperation. On this basis, the strategic projects shall be considered as the initial concrete element of a broader and longer process able to facilitate the agreement and design of future planning and activities in the tackled themes. The strategic project should be implemented following a territorial, integrated, inclusive and participative approach. This means that the projects should facilitate the launch and reinforcement of a process that could be of interest forthe territories of the participating countries to Interreg MED Programme , involving all the relevant regional and local institutions as well as the local communities and the civil society. In the framework of this call, two specific topics have been identified, offering opportunities for two strategic projects: one tackling specifically, the governance issue and one focused on the environmental risks. The main objective of the project is to improve the maritime surveillance in the Mediterranean, especially through the promotion of better governance practices between the main institution involved at European, national, but also at Regional level. In a nutshell, governance can be considered as the implementation of a set of devices (rules, standards, protocols, agreements, contracts...) to ensure better coordination of the stakeholders of an organization, of a territory, to take consensual decision and launch concerted actions. maritime data constitute a key issue. Different institutions and tools already exist at EU level to share information and better manage maritime activities (Safeseanet, Cleanseanet, Mares) or are being developed like the Common Information sharing Environment (CISE). However, gaps remain in European coastal areas in order to ensure a comprehensive surveillance of marine activities (large and small vessels, merchant shipping, cruise ships, yachting, non-collaborative vessels...). Although, information produced cannot be fully exploited and used due to insufficient or inappropriate information channels between the different institutional levels. - To ensure that the different institutional levels are able to share ascending and descending information (from regional to EU level), and that objectives and processes are coherent and shared between the EU countries and with EU institutions. In that perspective, multilevel governance agreements (or protocols) constitute a key issue and should be developed in coherence with the development of EU and transnational surveillance and information governance tools. specific maritime surveillance dimension and geographic areas (to be specified). The objective is not to create a new system, platform or tool, but to progress on the conditions necessary for a better share of information and data between existing systems (governance, institutional agreements, technical requirements). When necessary, specific support can be provided to improve the surveillance/observation capacities at local and regional level. The strategic project should take as reference the needs for innovation expressed by the maritime stakeholders, arising from their operational experience in managing maritime surveillance processes and systems at European, international, national, regional and local levels with impact in the Mediterranean Basin. The implementation of the MEDFISH4EVER declaration. The Marine and Maritime Surveillance services developed in Copernicus. As part of the project activities, following the rules from the European Commission, the recourse to the technical support of stakeholders from the whole maritime sector (for instance the industrial sector) in capacity to provide solutions to be tested and validated (according to the concept developed by the consortium participants) might be relevant but will have to be approved beforehand..
o The provision of joint/common information governance tools that allow for all parties to have a clear and transversal understanding of how the interoperable information is being used amongst functional partners. • Cooperation in the Maritime Surveillance domain to address the existing gap in maritime surveillance between EU MED member states and non EU countries, namely IPA countries and countries from the southern shore of the Mediterranean.